After several months, I’m going to work on another realistic figure. I had not modeled realism for a long time; I have to model such works more often. I love the process. Within them, I’m able to unite a realism with an inner world. In this one, I will unite the sweetness and expressiveness of Paula; strive to reflect them perfectly. 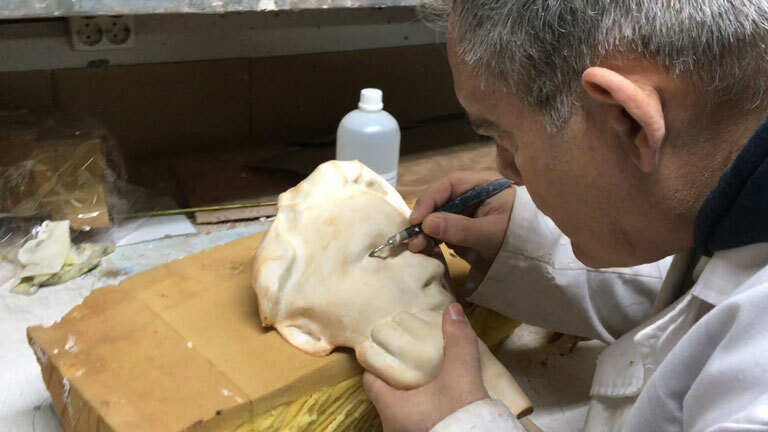 It is already at the molds stage and will soon be available at galleries. I still lack the title for this work, let’s see if you can help me, for now I call ” the sweetness and the youth”.